A World view on Netaji: There can be no proper celebrations if people do not come to Netaji’s house (now referred to as Netaji Research Bureau) to offer tributes on his birth anniversary, Ms Banerjee pointed out. There can be no proper celebrations if people do not come to Netaji’s house (now referred to as Netaji Research Bureau) to offer tributes on his birth anniversary, Ms Banerjee pointed out. The divide in the political spectrum in the State was reflected here on Wednesday in the course of celebrations of the 116th birth anniversary of Netaji Subhas Chandra Bose with the Trinamool Congress government organising an event at his residence and the leaders of the Left parties paying tributes in front of his statue in the Maidan area of the city. Chief Minister Mamata Banerjee made a departure from convention and chose to attend the function at Netaji’s residence though a minister was sent to the one organised by the Netaji Janmautsav Committee in front of his statue as a representative of her government. 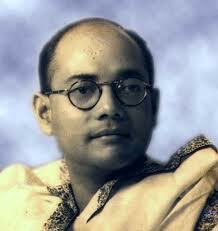 The State leadership of the party Netaji had founded in 1939 took exception to Ms Banerjee’s move. “By not coming here whom did you disrespect -- the people, the Left Front?… No, it is Netaji Subhas Chandra Bose whom you have disrespected,” said All India Forward Bloc State Secretary Ashok Ghosh, directing his words at the Chief Minister. He also regretted that the “attitude” of the State Government was “not right”. Mr Ghosh referred to the letter sent by Left Front chairperson Biman Bose seeking the time when the Left Front leaders should go to offer their tributes to Netaji in front of his statue. It was sent on the presumption that the State Government would be organising an event there as is customary. “Why was the Opposition not consulted before the Government chose to organise the celebrations elsewhere?” he asked. Left leaders also expressed their displeasure over the arrangements at the venue in front of Netaji’s statue that was the responsibility of the State Public Works Department. Ms Banerjee had announced on Monday that since she had to wait for about an hour at the venue last year she had decided to hold a separate event organised by the State Government to observe the anniversary. Leaders of the Left Front can pay tributes at Netaji’s statue, she had said. Participating in the event at Netaji’s residence where Governor M. K. Narayanan and certain family members of Netaji including his daughter Anita were present, Ms Banerjee said that from now on the birth anniversary celebrations organised by the State Government will the held there. Asked about inadequate arrangements at Netaji’s statue where leaders of the Left Front paid their tribute, Panchayat & Rural Development Minister Subrata Mukherjee said: “Usually arrangements are made by the PWD (Public Works Department) but I am not aware why it was not done”.